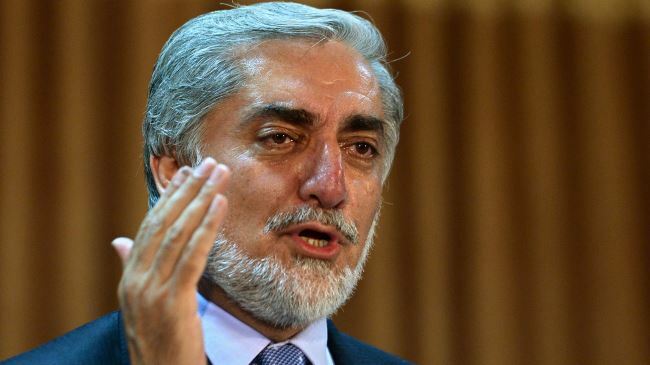 JNN 18 June 2014 Kabul : Afghan presidential candidate Abdullah Abdullah said on Wednesday that he had suspended work with the country’s electoral bodies and asked them to stop counting votes because of widespread fraud. “The counting process should stop immediately and if that continues, it will have no legitimacy,” Abdullah told reporters. Abdullah’s refusal to work with the country’s election commissions has pushed the country into a deeper political crisis just days after the run-off vote. Abdullah’s rival, ex-World Bank economist Ashraf Ghani, was not immediately available to comment but earlier urged all parties to respect the political process. Afghanistan’s foreign backers have long feared a worst case scenario in which a close outcome coupled with widespread fraud would give the losing candidate ground to refuse to accept defeat. While ballot boxes have yet to reach the capital Kabul for counting, Abdullah says preliminary figures and other evidence collected by his team show mass fraud. Observers fear allegations of fraud on both sides could lead to a lengthy and paralyzing struggle for power along ethnic lines, threatening to derail attempts to transfer power democratically for the first time in Afghanistan’s history. Based on initial reports received by Abdullah’s staff, results from Saturday’s vote put Ghani in the lead by close to a million votes. Meanwhile, Afghan President Hamid Karzai dismissed the possibility of al-Qaeda linked groups making a comeback in his country in a similar way to Iraq, BBC reported. The outgoing president said that al-Qaeda had no presence in Afghanistan. NATO troops withdraw from Afghanistan at the end of 2014. Some commentators have warned of an increase in violence. Karzai said that he was in regular dialogue with the Taliban – “[They] are in contact with me every day,” he said. This entry was posted in Asia Pacific and tagged Abdullah, Abdullah Abdullah, afghan president hamid karzai, afghanistan, Ashraf Ghani, Electiion fraud, Presidential Candidate. Bookmark the permalink.